Helping small and midsize businesses strategically organize, plan and move forward with ERP software decisions. Empower ERP Consulting, a division of Empower Business Solutions, is wholly focused on assisting small and midsize companies in our region make a decision surrounding their ERP software needs. Whether you're a growing business and considering your options or have the responsibility to correct a failed project, Empower ERP Consulting can help. We have 30 years of experience managing implementations of all sizes, allowing us to apply our knowledge in helping you do the due diligence needed to find the ERP system right for your unique business. Why start with a consultant and not an ERP software vendor? Over the last decade, it’s become increasingly apparent that making an ERP software decision without a preliminary consulting engagement can become a waste of time and resources. Without a documented internal-process review to create an ERP software blueprint companies struggle to define a system that meets their requirements. We document and drill down into workflows, inventory management, order fulfillment and more - the entire Quote-to-Cash process. The right preliminary consulting can save you a lot of money and frustration. Because of the complications involved with ERP software selection, hiring an independent ERP expert has become more standard. Experienced ERP consultants use an established approach to reduce the time, effort, resources, and costs associated with ERP selection. They can provide a blueprint for the ERP project, that will enable you to select the best system to support your projected growth. After Empower has provided these initial services, there is the option to review one of our preferred ERP solutions or to use your completed blueprint for another solution. We are certified partners of Microsoft Dynamics GP and Acumatica Cloud ERP, which can be explored if and when the time comes.  Either way, we can support the ERP selection and implementation process as long as needed. To learn more about Empower ERP Consulting and how it can be in a tool in your search for a fully integrated ERP system, contact us now.